My wonderful upline, Stella MacKay, started our group and named it "Stampers for Others" so we always are reminded that we should share what we love. Just recently, she added another component to our group - a monthly card challenge. 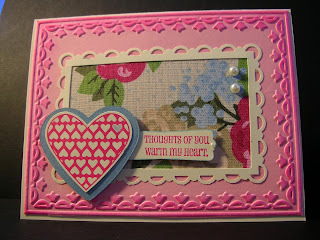 January's challenge was to create a Valentine's Card using Real Red, Crumb Cake, Very Vanilla and Bashful Blue. However, we were able to switch up the colors if we wanted. 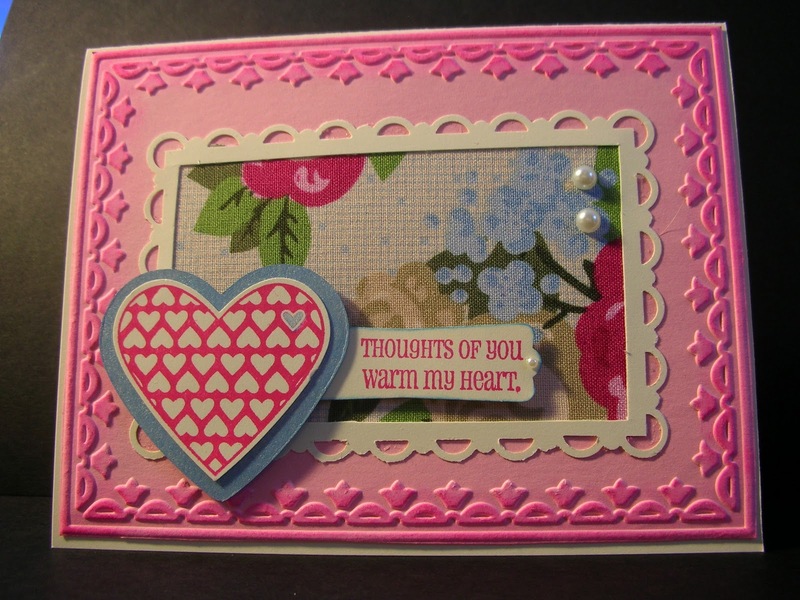 Here's the card that I submitted. I didn't follow the colors at all, did I? A couple of things inspired me when making this card. We received some fabric from Shellli Gardner at Stampin' Up! 's Leadership Conference and I wanted to play with it. Also, one of my customers was asking about how to correctly use the Scallop Border and Scallop Corner Punches to make a frame. So I put both those ideas together and came up with this card.